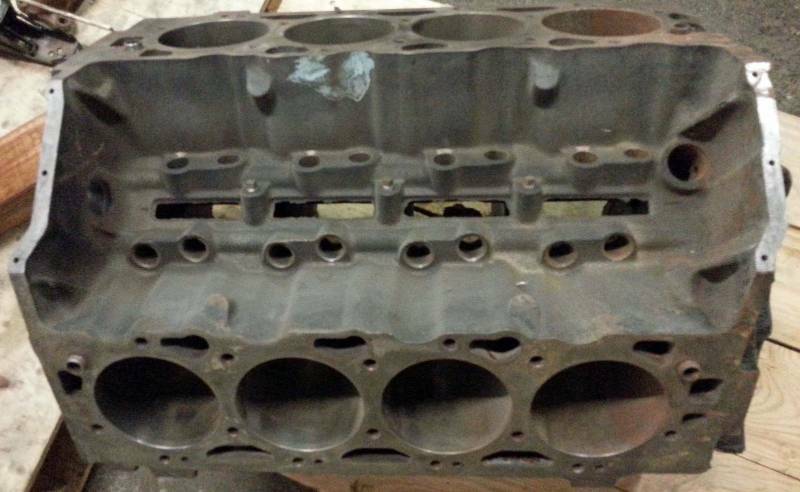 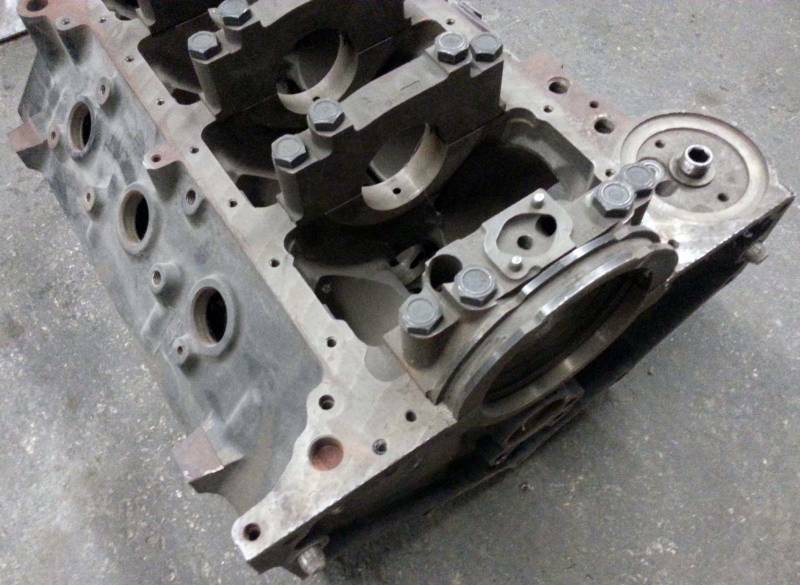 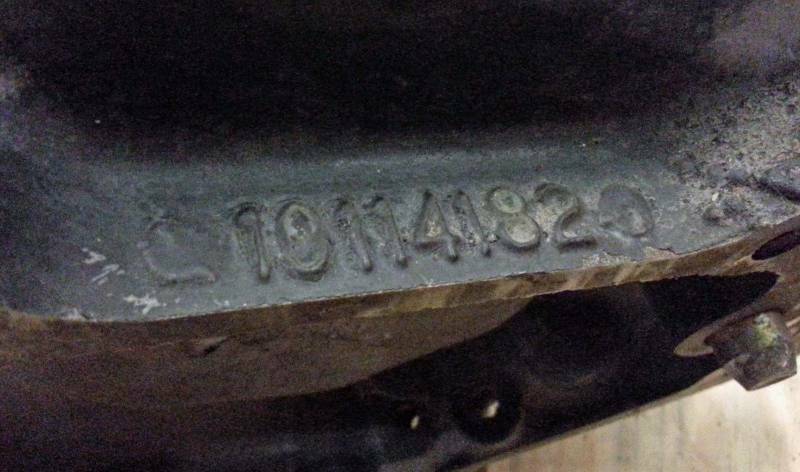 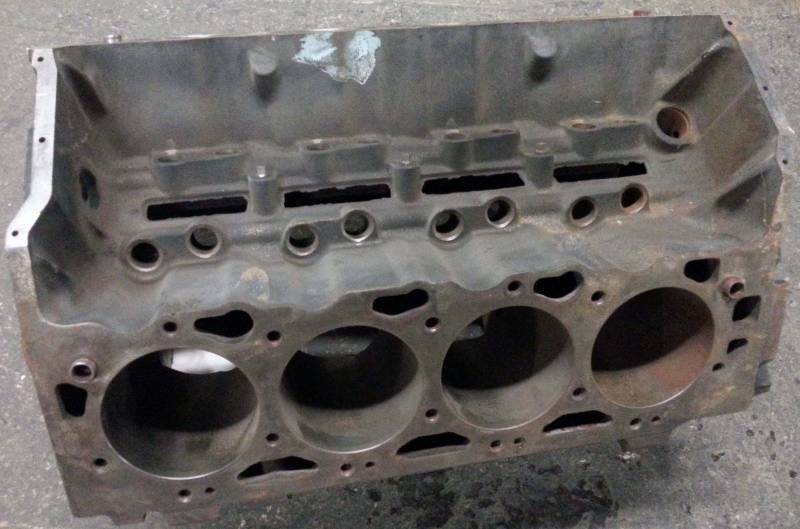 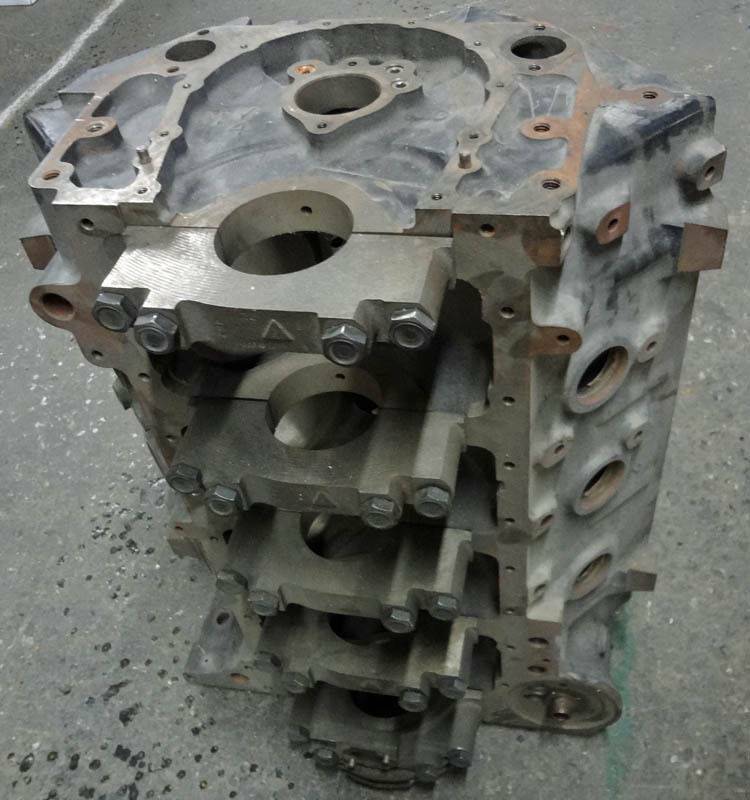 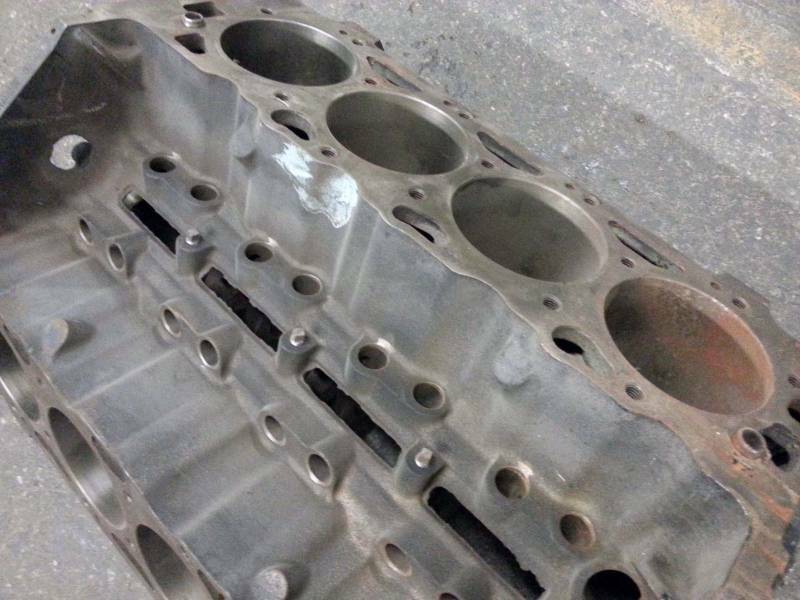 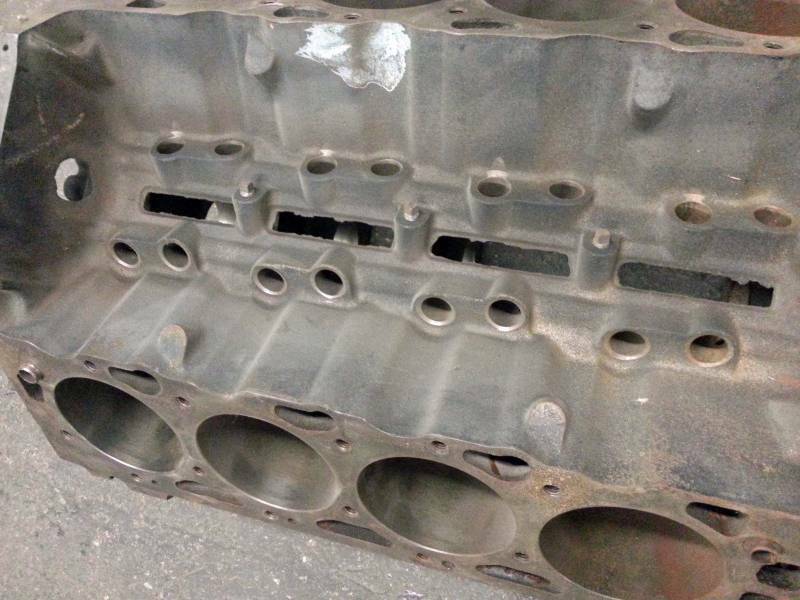 Standard deck B/B Chevy 4 bolt main bare block with the late Generation/ Mark V 454” 1 piece rear main. 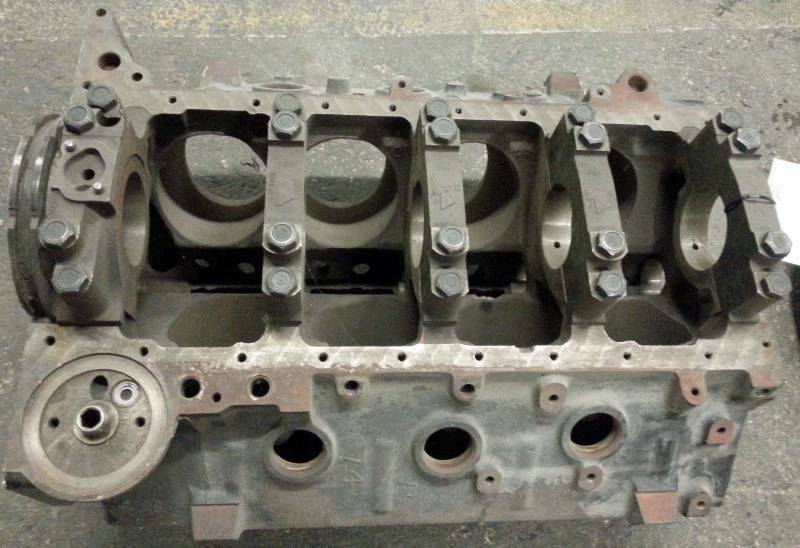 After an easy hone job it will stay standard. 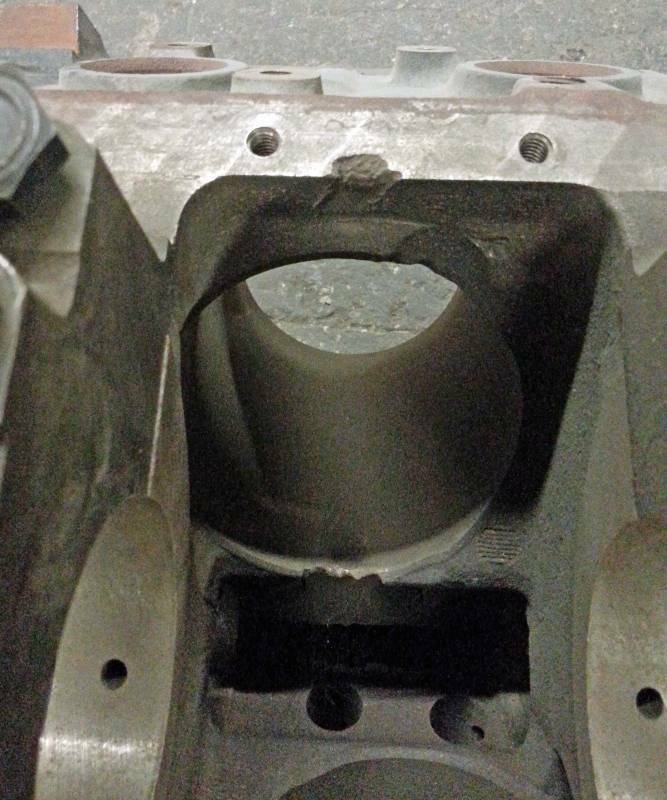 Originally in a Mercruiser boat and had a slight hiccup with a connecting rod. 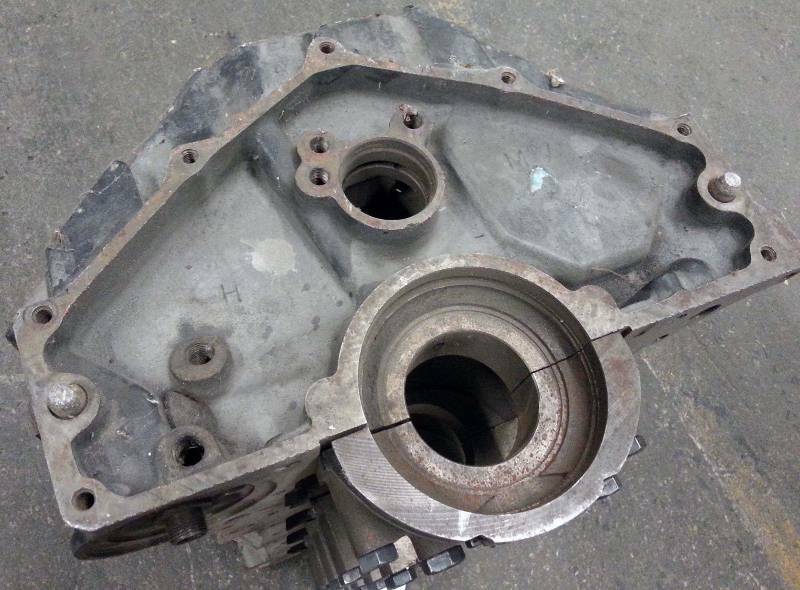 The bottom of the one cylinder has a nick in it left from that connecting rod and will not affect the performance. 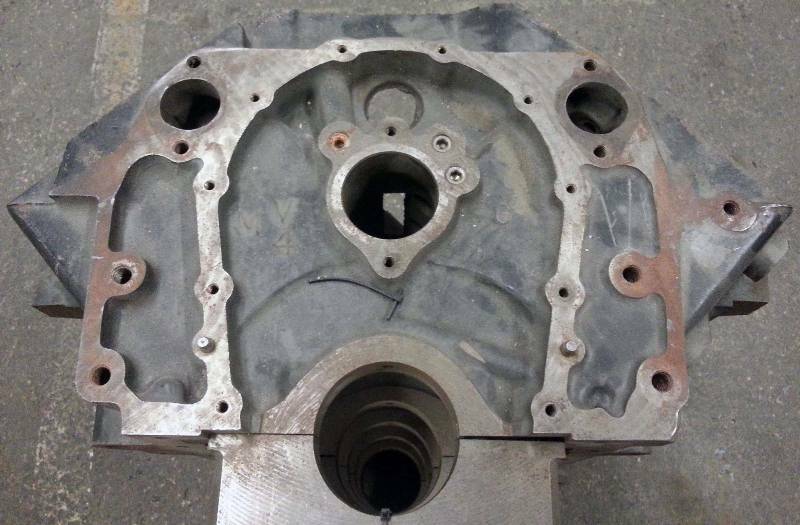 It’s ready for a hone job, cam bearings and freeze plugs.